Game of Thrones doesn’t return until April, but HBO has released some surprising new artwork that will have fans in a tizzy ’til then. 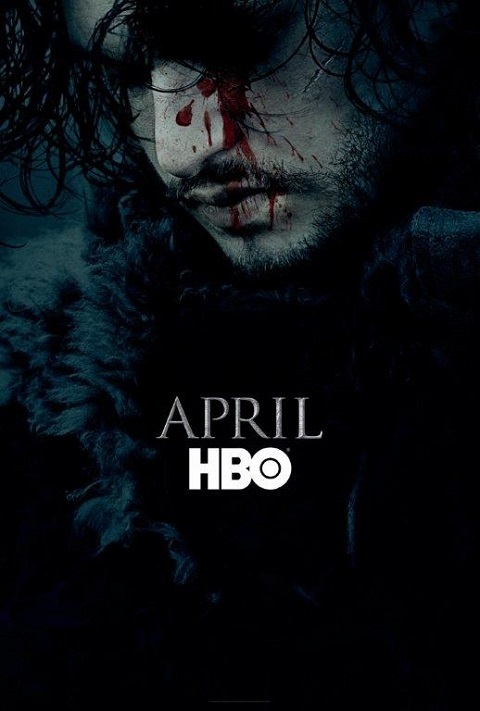 The new poster released by HBO features none other than Jon Snow, the character who was left for dead at the end of season five. After months of fans speculating whether he really did die, HBO confirms the character will return. There’s no exact premiere date yet for season six, but the popular fantasy series will return to HBO in April, Jon Snow and all. What do you think? Are you a Game of Thrones fan? Are you glad Jon Snow is alive? Will you be watching season six? I LOVE GAME OF THRONES!!!!!!!!!!!!!!!!!! And Jon Snow so glad he’s back. Can hardly wait till April. Yes I am so happy JON Snow is very much alive and will be back for the season.!! !